What do people search for anyway? The real truth is only Google, Yahoo and Bing know the actual data. We have compiled a list of 15 free keyword tools to help find what people are searching for online so you can get more traffic for your website or blog. There are plenty of keywords related to your niche or industry that you might not know. There are millions of searches performed online each day. This list of cool tools is really helpful and will save you a lot of time when luring traffic to your moneymaking pages. Imagine having hundreds of places suggesting keywords related to your primary keywords. Not only do you have access to this data, you have real keywords that are actually searched for by real human beings. UberSuggest scrapes Google and other services to bring you awesome keyword suggestions. Get the real questions people are asking online for topics and keywords. This tool is useful, but the potentially negative aspect is that you can only use it one time before you have to register. Other than that, it’s really helpful to get into the minds of people searching online. Ever wondered what questions are asked on Twitter? Now you will know and knowing is half the battle. If you are struggling with local search marketing, the hard work will be over when using 5MinuteSite.com. All you need is a zip code and you will be presented with local AdWords keywords and local terms in a list format. You don’t have to tweet to know what’s happening on Twitter. This homepage tool will let you in on the secrets that people are talking about. Finding the best keywords to use to promote your YouTube videos is stupid simple. Plug in your keywords or phrases into this free tool and you’ll be given a list of what YouTube thinks is the hottest keywords. After all they do own the site. They would know. No, this website isn’t for hippies, but it does a great job of informing you what is trending on Yahoo at any given time. This is really useful for finding niche ideas or news stories that you can use to promote your website or blog. A community hangout for people to ask and answer questions is what the Ask.com community is about. This is a cool tool to find what people want to know about. If you have time, answer some questions you know the answer to and drop your link for some easy traffic. Just when you think Google had everything you were proven wrong. Google Trends is slightly similar to Yahoo Buzz except trend reports can be generated for each keyword phrase or word. A co-extension of Google Trends that lets you look deeper inside a keyword to find if someone is searching for the word 1000 times a day or if 1000 different people are searching for it. You can plan your marketing more accordingly. If you are targeting keywords for Yahoo, using Yahoo Clues helps out a lot. It is very similar to Google trends. Use each tool separately to determine a search engine war for each keyword to get the best results. If you notice a trending pattern here you’re correct. Trends are hot and if you know what is popular you can grab the hottest keywords. AOL (the former leader in Dial-Up Internet) is still a viable search engine to target. This is a cool third party website not affiliated with YouTube. If you want to know what videos are popular, use this YouTube Trends tool to find out. You can get an idea of what people are watching and create your YouTube videos around certain topics. You really don’t need anything to use Google Autocomplete. This technology is already built in to the Google search engine. As you type a phrase or word, Google automatically suggest different words and phrases that get searched for quite often. You can choose to use them or not. While this tool is useful, the real meat and potatoes is using this tool to get the keywords and phrases you need. This is definitely a fan favorite. Google actually sheds some light on what keywords get the the most search volume each day in the U.S. and the rest of the world. This tool is free to use and you can even use it to determine the AdWords search volume you can expect for every keyword you choose. 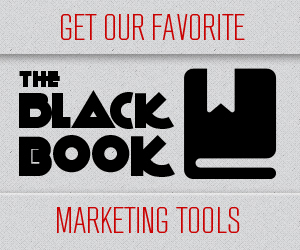 Because we are so cool here at www.marketersblackbook.com, as this post was being written we found another cool tool for you to use. You can find great keywords and like keywords that are related to web user searches. You can find keywords in the top 10 positions in Google using this free tool and that’s what makes it so awesome. We couldn’t let this list get published without including it. Use these tools wisely to get more use traffic to your website or blog. Remember who told you about these tools. We like backlinks too.